There are some of the symptoms that can cause alarm. When combined, these symptoms often result in difficulty breathing at night, which can detract from the quality of a good night’s sleep. Most forms of relief target the symptoms to provide temporary relief, but for a long term solution, you need something different. You need Super Neti Juice™. Maintaining sinus health is important from so many standpoints. It is critical to overall health, proper sleep and general comfort. Simply flushing your sinuses with saline only removes the loose harmful cultures, but doesn’t help stimulate a non-irritating environment. You can do better than that. Super-charge your Neti Pot with Super Neti Juice and see how you can regain health in your sinuses. The best way to know if Super Neti Juice™ can help is to try it–risk free! –What do you have to lose? 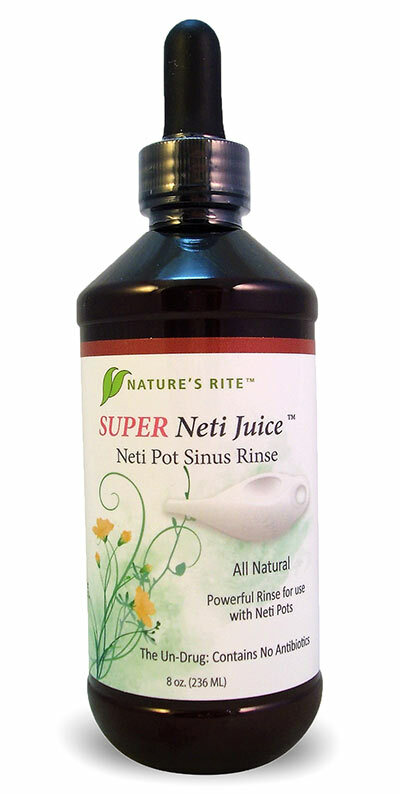 Try Super Neti Juice™. If you never try, then you’ll never really know how easy it can be to have healthy sinuses.